I haven’t done a synchronicity post in a while, but here we are. 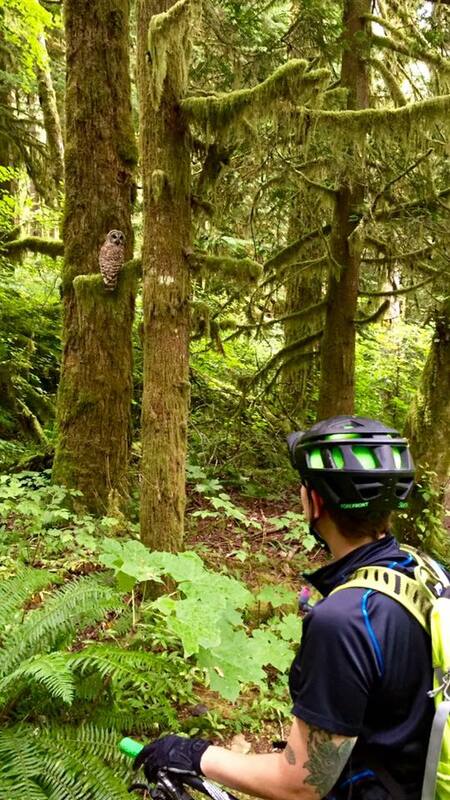 Just the other day, on a mountain bike ride in Squamish, B.C., Husband and I had to stop to observe this guy (or girl?) sitting in a tree, watching us. Husband got up pretty close. My research when I got home tells me that this is a Barred Owl. In other words, they are the scavengers, the ones happy to be near humans – the commensal species. I guess this explains the ease with which we encountered one, too: they are considered an invasive species around here by many scientists. 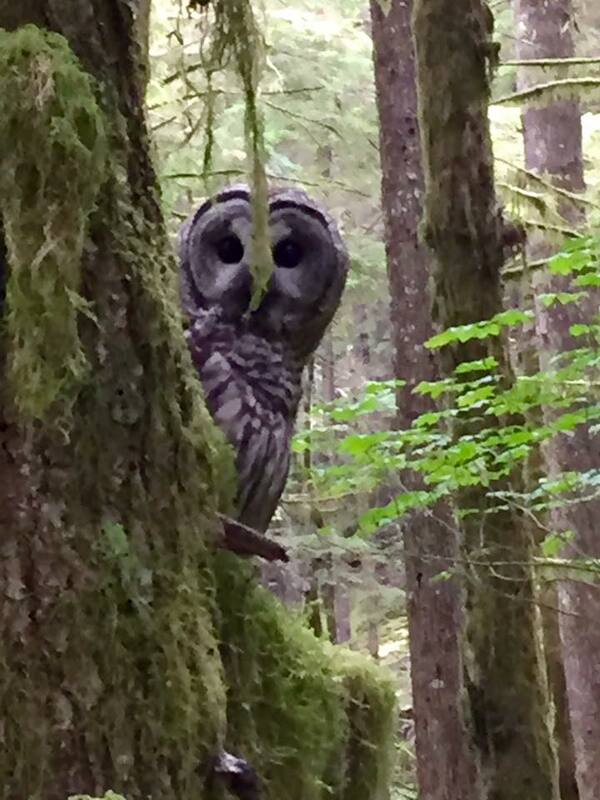 It would have been much more remarkable to see a Northern Spotted Owl; but they prefer old growth, where the Barred Owl is easier to please. I am always pleased when my reading aligns with my life. 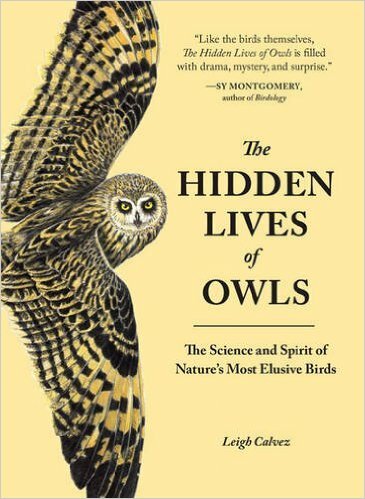 *Note: the author states that she capitalizes all official bird names according to the customs of the International Ornithologists’ Union. In this teaser, it looks a little funny next to lower-case coyotes and rats; but I guess those aren’t the official names, anyway.